I have imagined myself writing this blog post so many times, and it's crazy that I'm doing it for real! I've told family and friends (and Facebook, of course), but I've kept this a secret from the blog for the past few months. I guess it's taken me that long to wrap my head around the fact that this is actually happening. Jordan and I are very excited to finally tell you all about our little blessing, arriving this summer! When did you find out: We found out on December 9. 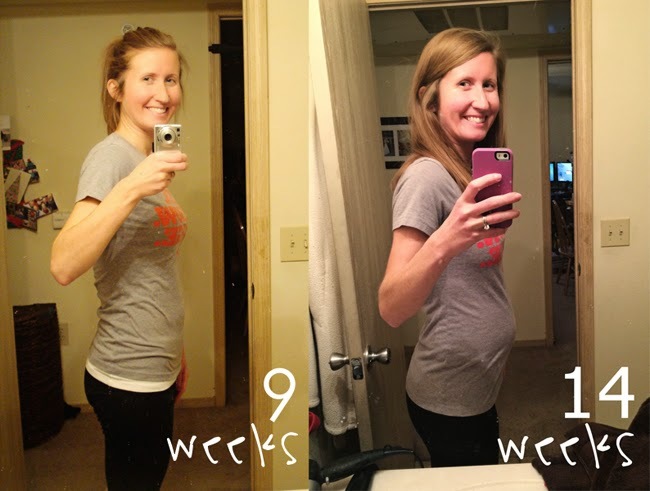 I was just about 5 weeks along, so the first trimester felt like it took forever and a day. I was basically a wreck for the first few months. Symptoms: I definitely was nauseous in the beginning, but I never actually threw up. Overall, I've had a much easier time than a lot of people I know. The biggest pain was daily nausea as soon as I woke up, peeing every half hour or so (not an exaggeration), and being hungry all. the. time. Currently I'm just feeling like a giant and also having a major aversion to chicken, which I normally eat a ton of, so that's weird but whatever. Appointments: We had an ultrasound at 6 and 8 weeks, and then I had regular doctor appointments at 10 and 14 weeks. No ultrasounds at those, but I did get to hear the heartbeat both times! Weight Gain: Since we don't own a scale (not for any particular reason other than I've never owned one and just don't care about weighing myself), I can only go off what I weighed in at doctor visits. At my week 10 appointment I was 136. At my week 14 appointment I was 137. So... yeah. Apparently all the ice cream wasn't hurting me too much! Gender: We find out one week from today! We will share the gender, but we're keeping the name a secret until he/she is born. I will tell you that we have 1 boy and 1 girl name already picked out and ready to go! Neither Jordan nor I has any inclination or opinion as to which we're having. At my last doctor's appointment (14 weeks) the heartbeat was 140, which can be a sign that it's a boy, but I don't put much stock into those types of things. *Lies! Jordan just told me last night that he thinks it's a boy. I guess we'll see in a week! Finally, the question that everyone wants to know: Were you trying? Yes we were. I might talk more about this later (or I might not; I haven't decided yet), but the short story is that our experience was not at all one of those "we went off the pill and one month later I was pregnant, and we can't believe how easy that was!" No. We actually ended up seeing an infertility doctor last year for a short time. It was incredibly, incredibly stressful, and I have so much more empathy for those who have experienced and are experiencing battles with fertility. It's such a difficult and frustrating situation, and I have been praying daily for those who so far have been unable to have children. If you have any questions about our experience, just want to share yours, or would like me to be praying for you, please please email me. You are not alone. So that's all I have for now! Maybe I'll do another baby post to answer some FAQs. So, if there's anything you want to know, ask away! ^^^ In case you need proof that something's happening in there, here's a bump shot from a few weeks ago! Aaahh! Congratulations! I am SO excited for you both! Thank you! We are so excited. As if house hunting weren't enough, right? 2015 is the year of big changes for the Bumgarners! So so many congratulations to you!!!!! Oh my goodness!! Congrats!! How exciting! Your bump picture is so cute! So happy for you both. This is so exciting!!! I cannot wait to hear more! SO SO SO happy for you! I can't wait to read all about it! Congrats!!!!!!!!! YIPPEEE!!!!! You are such a good secret keeper. So happy for you three. AHHHHHHH!!!! you did a great job of keeping it a secret - I didn't even have a hunch!! Congrats!!! Congratulations!! Such wonderful news! 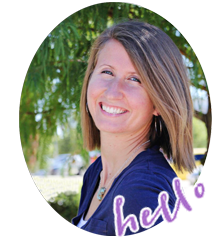 We had fertility struggles as well and I completely understand how difficult that journey can be. It's such an incredible blessing to make it through that and see your dream become reality. So excited for you! Congrats!!! Our son was born in August (I thankfully had a boss who owned a pool - not far from my house. It helped tremendously the summer I was pregnant.) 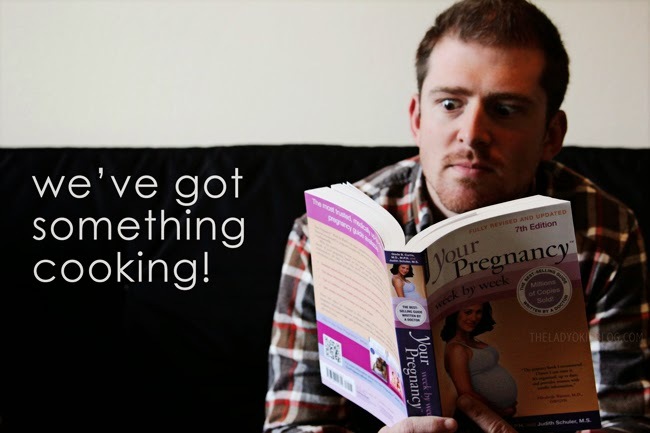 I was just looking at some of my pregnancy photos yesterday. :) And I totally understand the not getting pregnant as quickly as you'd hoped. We also saw a specialist (and thankfully it didn't take long after that.) Wishing you all the healthy thoughts for the rest of your pregnancy! YAY!!!!! So incredibly excited for you! Such a hard secret to keep, right?! Glad to hear that you haven't been sick. I hope you have a very healthy and enjoyable pregnancy. This is such an exciting time! It wasn't that hard of a secret for me, actually. I was seriously SO weird about telling people. We waited until 14 weeks to put in on Facebook. I just liked it being a secret :) Jordan, however, wanted to tell everyone immediately. He's SO excited. It's really cute. Yayyyyy!!!!! What exciting news, congrats!! I had a huge aversion to chicken, and uncooked meat in general. That's when Travis started making all our meals. Even cooked, sometimes I just couldn't handle it. I was nauseous a lot too, but never actually got sick. Also, Emily's heart beat was always in the 130-150 range. So....I'm guessing girl for you! Congrats again! OMG CONGRATULATIONS!!! I am so excited for you- though I must admit I saw the title and for some reason I was like wait is this going to be a trick. But then I read further and got super excited. I'm praying that the rest of your pregnancy goes smoothly. Impressed that you guys already have names picked out and your bump is so cute! YAY YAY YAY!!!! I am so excited for you guys. You are going to be the best, funniest parents! Congratulations!!! So glad to hear you are past the nausea stage and doing so well! I have an August birthday, and they are the best... swimming parties every year! congrats!!! August is the best month for a birthday, not that i'm biased or anything! so at least now we know why you didn't have tampon issues on your last business trip! ha! yay yay yay! So incredibly awesome and exciting! I'll probably sound like a weirdo for saying this but from the tone of some of the things you have said in the past, I highly suspected that you were seeing an IF dr or at least on the road to it, so just know that I've been praying for you for a long time about this!! CONGRATS! I'M SO EXCITED FOR YOU TWO!!! Congratulations!! I hated chicken, too, for some reason. The thought of it grossed me out. OH MY GOODNESS!!! CONGRATULATIONS!!! That is so very exciting, especially if it wasn't exactly easy to get to this point! I'll be praying for you and can't wait to hear more about everything! You already know how excited I am for you, but this just makes it THAT MUCH MORE REAL. I'm just so, so, so excited for you guys. Seriously. So excited. Also, your bump is adorable. I've never said that to anyone before, so I feel a little weird. But like. Yeah. It is. Ha! You wouldn't have been :) Actually, a surprising number of people have asked about it over the past week, so I figured I should probably just get on with it and tell everyone. Can't wait for our appt next week! Eeeek! So so excited for you!! Your bump is precious and you look wonderful! Congratulations!! I totally thought you were pregnant because your blogging seemed a bit different these past few months. There wasn't much talk of your day to day life anymore. And then on one of your vlogs you mentioned about your house search and how you weren't really talking about it. So I was like...oh, nevermind then. So happy to hear it's both!! We have a big year ahead of us, and I'm trying to take it all in and be grateful for some fun (and scary) transitions coming up soon! So exciting! Congrats to you guys! Congrats! Such wonderful news to share! Look forward to continuing to follow your journey through this exciting time :) YAY!!! Congrats!!!! Your bump is already precious! Congrats! I am very excited for both of you! Oh My Gosh. Congratulations! You look so beautiful! Giving me a big smile! OH MY GAAAAAAH CONGRATULATIONS! what a wanted, loved, amazing baby you will bring into the world - all the love to the three of you! Yay yay yay!! Congratulations!!! You look awesome and so happy! Excited to hear more - and thank you for your honesty about trying. It's depressing for those of us who are trying and just not quite there yet who see all these other folks going, oh, hey, no pill this month and BAM. I know we're not alone in the world, but it's just nice to hear someone made it through that. Amanda! How exciting! You are going to be a great mommy! You're so creative-love the announcement pics! I found out at 4 weeks, so I know what you mean about 1st trimester lasting FOREVER. Almost half way there!!! ahhhhhhhhhhhhhhhhh congrats!!!! so happy for you! I am quite scared that we will jump off the pill and then it won't happen... like we arent ready to start trying, but i feel like if we don't start soon, i won't get pregnant for a few years. i don't know. Congrats!! This is so exciting, I'm so happy for you! It's weird, the other day one of your post titles made me wonder if you were pregnant, I can't remember which one....and you were!!! Congrats again :) Can't wait to follow along on your journey. OH MY GOSH CONGRATS. YOU WERE PREGNANT WHEN I GUESS IT IN ONE OF YOUR OTHER POSTS!!!! Two of my best friends are at about 12 weeks right now! haha! I kept this a blog secret forever! I'm such a weirdo, but I kind of liked it :) But I think it's ready to be shared. The bump don't lie. Although part of me thought it would be hilarious to say nothing and then one day just appear and say "I had a baby!" But really that would actually be weird. No one does that. Amanda! I really thought you were going to do that. I thought "I wonder if she is just going to post a picture with a baby in a few months and say SURPRISE!" oh my goodness I'm so happy for you!!!! and wow you keep it a secret awhile! :) That bump is adorable and you are so cute! can't wait to follow along!! congratulations! and welcome to motherhood. It is the best thing ever. Congratulations!!!! You guys are going to be the best parents. So happy for you!!! And NOW I feel like I can finally explain my random switch to much slower times on Daily Mile. You probably didn't even see them, but I kept thinking "Tracy is going to think I lost my mind!" haha. I have been running consistently, but man alive am I slower. Whatever, I guess, but it's definitely a bummer to go out for a "quick 3 miles" and be done so much later than I'm used to. Teaching me some running humility for sure! Oh wow Amanda, congratulations!! Looking forward to hearing a she or a he :) So glad it all worked out for you! Hurray! Hurray! Hurray! Congrats you guys, how exciting!! So exciting for you guys! Congrats! Congratulations!!!! I am so happy for you! Next year there will be three Valentine's cards and 3 ice cream cones. Or not. I don't know what you can feed a baby. Ahhh, YAY! 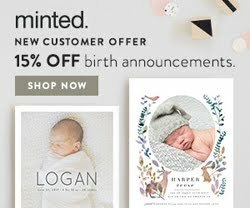 This sounds so creepy, but from all of the baby themed posts that you were saving on Bloglovin', I had a sneaking suspicion! I'm so excited for you! 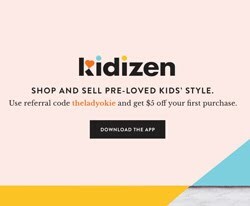 There is seriously a blogger baby boom going on right now, haha. Aaaah congratulations!!!!! 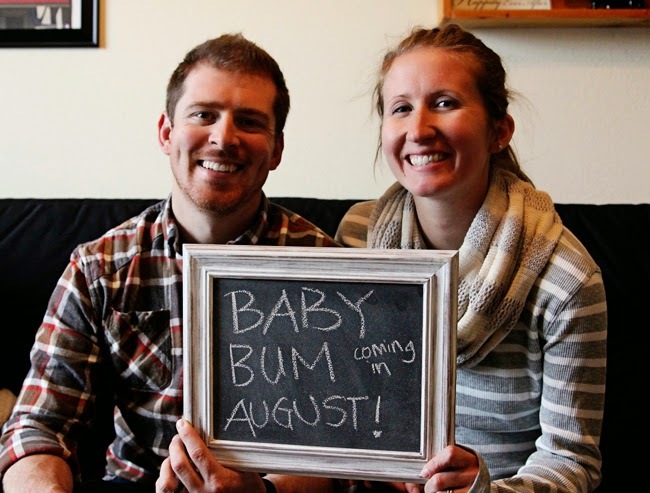 I love that you're calling him/her Baby Bum … too cute. OH MY GOSH YAY!!! Every time you had an "announcement" post I was wondering if THAT would be it haha. So happy for you - especially knowing that it didn't happen as quickly as you were hoping! I know you are going to be an amazing mom. (And Jordan seems like he would be a pretty cool dad, too!) Congrats! Congratulations!!! That is so exciting! Your little bump is so cute! I'm 37 weeks and let me tell you, the time flies by quickly! Before you know it, you'll be holding your little one in your arms! I wish you all the best during your pregnancy and hope that it is an easy one for you! Congratulations! So exciting!! I have an important question - What are your running plans now that you're pregnant? Congratulations! 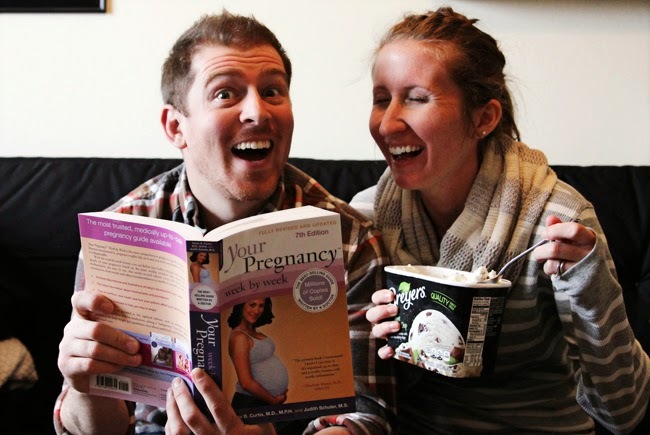 How fun and exciting -- I think your baby is going to be blessed to have such wonderful parents. Praying for you guys! I'm so so so happy for you guys! I like that you're keeping the name a secret. Matt and I really want to do that as well. We want to avoid as much family drama as possible when our time comes, haha. Love your honesty and how your own battle has opened your eyes to the many woman in the same situation as you. I cannot imagine the "what ifs" or "if onlys" that must occur when one finds out there's going to be heartbreaking difficulties during a process that you thought would be solely enjoyable, adventurous, and fulfilling. Praying for your sweet and growing family during this time! You guys are going to be such fun, hilarious, and amazing parents. Congratulations! Congratulations!! You really are good at keeping secrets - most people are bursting at the seams to tell the news at 12 weeks. If I ever have a secret I NEED to tell someone I now know who to go to! Congratulations!!! That is so very exciting, and such good pictures! That baby bump is too cute!! What! Whao! You're so sneaky! Congrats! When I first read this I thought about all the posts when you had an announcement and always started with, "we're not pregnant." Nice! This is so exciting! OH. MY. GRACIOUS. Amanda! I am SO happy for you guys! What wonderful, wonderful news! A huge congratulations! I am so sorry for everything you have gone through to get to this point, but I'm SO happy for you that you have arrived! Oh what a blessing! It seems like nearly everyone I know lately has had problems conceiving and it would be interesting to hear your story, although obviously only if it's one you feel comfortable sharing. I do worry that we will struggle when we start trying. I've recently turned thirty and my parents struggled for years before having my brother and me. Okay.....So, I've been super slack in my blog reading/commenting....All I can say is WOOOOO HOOOOOOO!!!!!! I'm so happy for you guys!!!!!!! :) A baby and a house and who knows what else I've not been keeping up on! I can't wait to find out what you're having...AND what name you choose when you announce it in August!!!!! Okay, enough exclamation points already. I'm just sooooo excited for you guys!!!! SO EXCITING! Our computer has been out of commission for a few days, and I come back to this wonderful news. All the exclamation points!!! Am I the only blog follower that had an intuition that you were pregnant? I love the looks on your and Jordan's faces. And would love to hear the "before" story if you feel like sharing it sometime. Congratulations, that is wonderful news! I may be biased, but I think that August is a wonderful month to have a baby (my son was born in August). You look great!! AhhhH! This makes my heart melt! How EXCITING!!!!!! I'm so happy for you both!!! I think it's a GIRL! :) :) :) :) I hope you are feeling better! Congrats. I'm super excited for everyone (including me). I'm guessing it's a BOY! However, I'm usually wrong :)! I've been away from blogland for a bit and am just now catching up! AHHHHHH! So so so so exciting! CONGRATULATIONS! I'm so happy for you! P.S. your tiny little bump is so cute! This is just fantastic news! Yay!! I can't believe I'm so far behind on reading blogs and just seeing this. So excited for you!! Wow girl you did wait a long time to share. I was bursting that I had to wait until 14 weeks to share (because of a brand new job) talk about interesting timing. Haha. So happy for you. And your little bump is so cute! I'm late to this congratluations party but I showed up! Congratulations!! 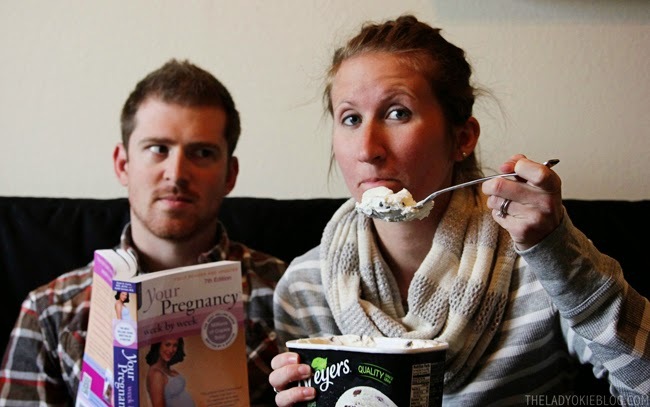 I love the announcement pictures - adorable and Jordan's face is great. Also, I totally hated raw chicken and couldn't even handle it during my pregnancy. OH. MY. GOSH. CONGRATULATIONS! So I'm unfashionably late to this party (#taxaccountantproblems), but still wanted to say CONGRATULATIONS! How very very exciting and amazing and awesome!